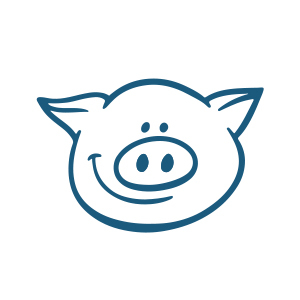 Editor’s Note: PIG Expert Advice is a dedicated space to bring EHS and MRO professionals information about new and updated standards that could affect their employees and facilities. Technical Writer Karen Hamel recently gave a talk on the importance of Business Continuity Plans and an updated standard that can help companies prepare for a comeback after an emergency. Each year, my county’s Local Emergency Planning Committee (LEPC) hosts a summit for facilities and first responders in our region. The focus of the summit is to provide education and networking opportunities to companies that have hazardous chemicals onsite and the first responders who may be called upon to help them if there is ever an emergency. This year, I was asked to host a breakout session on the importance of having a Business Continuity Plan (BCP). For anyone who isn’t familiar with this, BCPs are also known as Continuity of Operations Plans (COOP), Disaster Recovery Plans (DRP) or Resilience Plans. These plans are different from emergency response plans, which focus on how to handle an emergency while it is happening. A BCP focuses on planning how your facility will recover and resume normal operations after the disaster has passed. The Federal Emergency Management Agency (FEMA), the Department of Homeland Security (DHS), major insurance companies and many trade organizations — especially those with an IT focus — all support and stress the importance of planning out what to do after an emergency, but there aren’t many good templates out there to help you get started. During my presentation, I was surprised to find that no one in any of the audiences I spoke to had heard of this standard. In fact, I myself hadn’t heard of it until the 2016 edition was published. Before now, BCPs were bits and pieces cobbled together from a variety of sources. In the end, it was a great day of learning, both about the importance of BCPs and the availability of a new tool to help many industries create a comprehensive plan that will get them back on track after an emergency. Wanna learn more about BCPs? Download our white paper to learn how to develop your BCP and the 6 categories of risk you need to plan for. Learn why a Business Continuity Plan is essential for emergency and disaster preparedness and the 6 categories of risk to prepare for.